Convertible strollers that are designed specifically for kids can sometimes come with features that are considered “convertible”. One feature that can make a wheelchair convertible is the fact that the rear wheels can be removed. If you have the transport wheelchair rear wheels in place, you can convert them to the large rear wheels that are typically found on large wheel manual wheelchairs. In a way, recliner wheelchairs can be considered “convertible” because they have the ability to turn from a normal manual wheelchair into a reclined position on the chair. 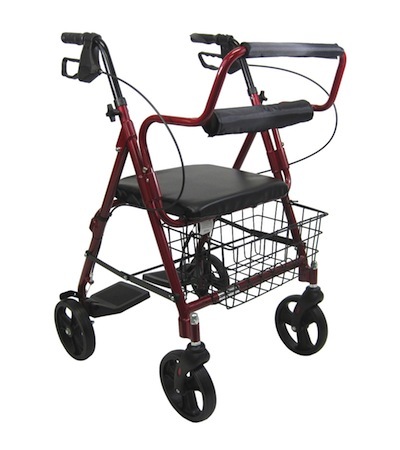 Some recliner wheelchairs have the ability to elevate the leg or footrests. This would allow the user to convert the manual chair into a reclined seat, providing relief from pressure sores and allowing the blood flow to be in the healthiest position. Standing wheelchairs can also be considered “convertible. Standing chairs can be considered convertible because they allow the user to go from a seated position to a standing position with the press of a button. This would make the chair convertible in some ways because it turns from a normal power wheelchair, to a standing position chair. Travel wheelchairs or Transit chairs can also be considered “convertible”. They are convertible because they allow the user or companion to switch out the wheels in order to fit the chair in a large vehicle to accommodate the user.